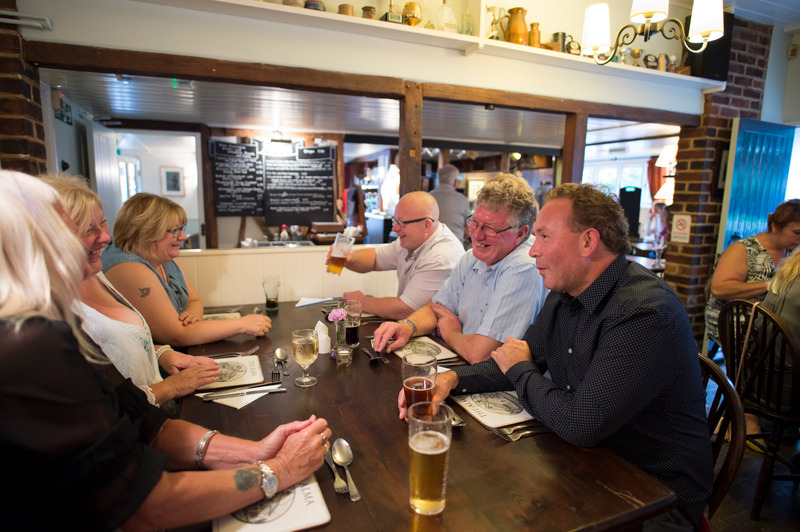 We hope that everyone who visits The Alma enjoys their time with us and leaves us looking forward to their return! We came upon this little gem on Sunday lunchtime. When we went in it was nicely busy lovely atmosphere asked if any tables but unfortunately all booked decided to stay for a drink and luckily a they had a cancellation and if we didn't mind waiting 1/2 hour we could have a table. That was no problem apart from the wonderful food smells and seeing the lovely food go by was making us very hungry!! Food did not disappoint all home cooked and fresh. Best pub Sunday lunch we had had in a long time amazing roast potatoes. All the he staff were very friendly and attentive. Can't wait to go back to sample lunch and evening menu. Highly recommended but my advise would be to book. Just returned from an excellent roast beef Sunday lunch . Very good and the pub was full with new people arriving as others left. Service was good. Puddings also excellent - a panacotta v good. All home cooked food and and a very good atmosphere. Fantastic family run country pub, great customer service. The landlord couldn't make us feel any more at home. The food is just what you expect from a old country pub. Highly recommend, call and book a table as they get very busy. Such a delicious huge lunch, very friendly and didn't have to wait long at all for food. Definitely be going back soon!